Sure Klean® 600 is a general-purpose, concentrated acidic cleaner for brick, tile, and concrete surfaces that's safer than muriatic acid for new masonry surfaces. While coverage rate depends on a number of factors, we suggest starting around 100 square feet per diluted gallon and conducting a test panel to ensure desired results. Are you having trouble identifying a stain on your substrate? We can help. 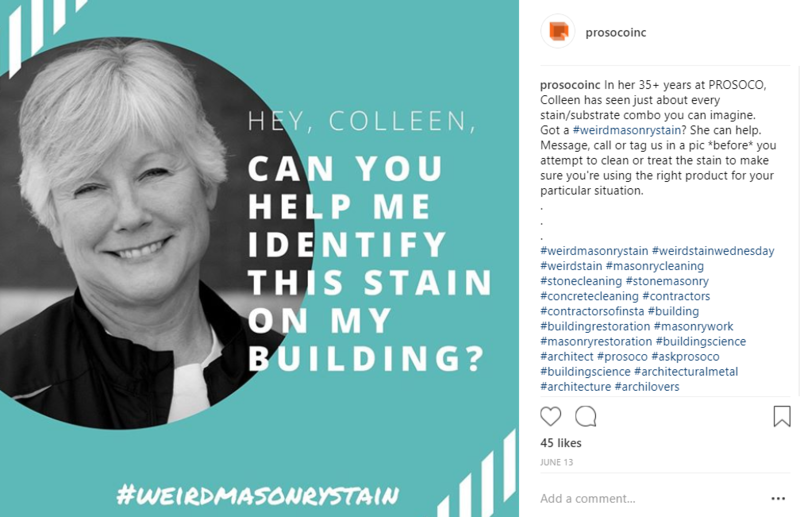 Tag us in a picture on Instagram or Twitter with the hashtag #weirdmasonrystain for help identifying and treating your issue with the right product.